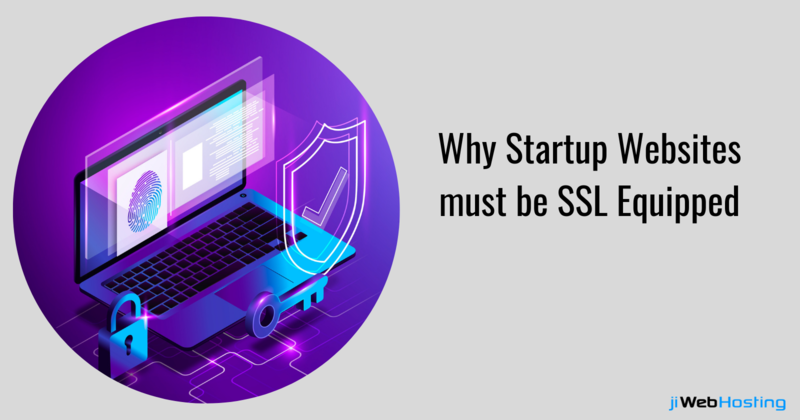 Why SSL is Important For Startup Websites? Do you have a website for your business? Of course, who wouldn't! With the evolution of internet and technology trends, everyone has taken his business to an online platform. Isn't it? Simply because having an online presence has become as essential as breathing to live. More applications, more websites, more data, and more of hackers which can ruin your years' long hard work in a moment. Agree? So, let me tell you that you need a weapon which can fight back the data attacks and safeguard your data at all costs. If yours is an e-commerce website then you would be even more concerned about the data attacks as you are dealing with the customers confidential data. Isn't it? You would have definitely heard the term "SSL" at least once. SSL has been the driving factor while safeguarding customer data and other personal information. The technology behind SSL gathers the user data and securely places it in an encrypted form, a format which is unreadable to human. The term SSL is not at all a new term in the industry. But are you really aware of the prominence SSL holds in your business? If not then let me tell you that SSL is the most effective tool which can protect your website data by encrypting it thereby keeping it away from the hands of hackers at all times. Want to know more about how SSL helps in safeguarding your data? Let's dig deeper about the top benefits of adding SSL to startup websites. Security Factors: Are you offering online services to the people then it is your utmost duty to safeguard your user's data at any cost. Having SSL lets you maintain data confidentiality of all the users visiting your website. At that point may it be the user's account number, personal information, or other identity proofs, SSL keeps all the data safe and away from the hackers reach by keeping it on the server which isn't displayed to anyone due to the encryption technique used in the framework. Customers' trust: If your customers feel that their data and other information are held safely over your website, they will automatically develop trust with your website. Once the users get an assurance that their data is safe from the hackers and other malicious attacks, they'll try to keep a long relationship with your services. And in case you fail to do that, your business could fall very badly on a lifelong basis. Data encryption: What if a hacker attempts a data attack on your website and finds the data in some unreadable form? It would be useless for him. Isn't it? This is what encryption does. It will keep your data safe and encrypted while displaying it in some human unreadable form in case any third party tries to view your data. Subdomains security: Some prominent SSL certificates, like Wildcard, helps in safeguarding your main website and all its subdomains with a single SSL certificate. So, if you are maintaining larger websites and subdomains, SSL is the best solution for you to avail. Identity affirmation: Providing authentication and carrying out proper identity verification is the next big thing which is offered by SSL. SSL authentication makes sure that the customers don't get fooled or trapped in any of the fake websites and confront huge losses. Website security: May it be your login id and password, or account details, you need to keep the customer data safe at all costs. Implementing SSL certificates protects the customers' sensitive data and credentials which are saved over your website. This will help in keeping the data safe and away from hackers. Is your website SSL equipped? Are you in the startup stage of your business and looking for the affordable vendor to take your business online? jiWebHosting lets you enjoy best web hosting services at prices which can definitely fit your budget. Can't believe? Get in touch with us and know yourself about our affordable hosting plans. Make your website SSL equipped today and stay on the safer side!